For the primary and main elections, this is probably the most fun and stressful part: campaign after party. Fun part? Supporters and candidates get together and celebrate the months of planning and very hard work they gave to try and convince voters. This can also be the most stressful part of those months and hard work. Experiencing first hand at 2 parties, I could feel the stress and anticipation of candidates / supporters. A combination of trying to stay in a good mood and constantly watching the numbers can take a slight toll on anyone. 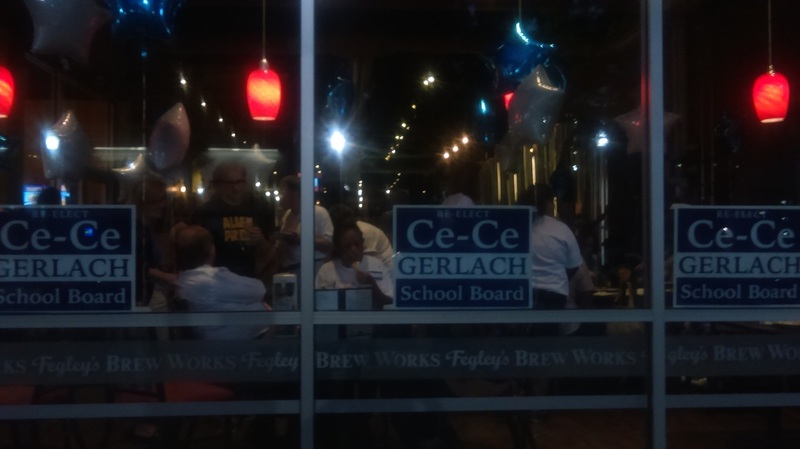 Congratulations to Mark Smith and Ce-Ce Gerlach for their victories! I have to give all the candidates from all elections a lot of credit for their hard work. Also, to all the volunteers for their dedication and belief in the candidates.